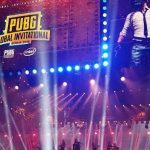 The popularity of eSports is currently at an all-time high, with the sport attracting several big-name stars. Chan Vathanaka’s PKNS FC faced Pahang FA in the Malaysia Super League this week and it was the Cambodia international striker who found the opening goal of the fixture. 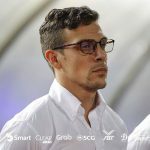 Cambodia striker Chan Vathanaka continued his good form in front of the goal as he scored to help his Malaysian club side PKNS FC defeat Melaka United 3-2 in the Malaysia FA Cup on Thursday. The AFC U-23 Championship 2020 Qualifiers campaign ended even stevens as far as Cambodia and Chinese Taipei were concerned as the two teams played out a 1-1 draw. 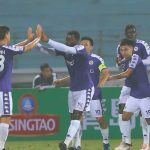 Cambodia shipped half a dozen goals against Korea Republic to suffer a 6-1 defeat at the Phnom Penh Olympic Stadium on Sunday and crash out of the 2020 AFC U-23 Championship Qualifiers. The Olyroos have kicked off their journey to the Tokyo 2020 Olympics with a dominant 6-0 victory over Cambodia in Phnom Penh. 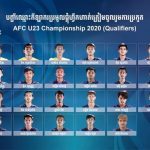 Cambodia national team coach Felix Dalmas has named the 23 players who will represent the Angkor Warriors at the 2020 AFC U-23 Championship Qualifiers set to begin on March 22. Visitors Bangladesh defeated Cambodia 1-0 in an international friendly held at the Phnom Penh Olympic Stadium as part of the preparations for the 2020 AFC U-23 Championship qualifiers slated to be held later this month. 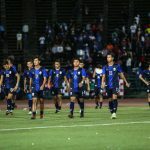 Cambodia’s AFF U-22 Championship campaign came to a painful close after losing to Thailand via penalty shootout but the young hosts still showed class after the battle. 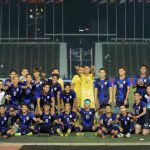 Thailand got the better of hosts Cambodia on penalties in the semifinal of the AFF U-22 Championship to earn a spot in the final against Indonesia. 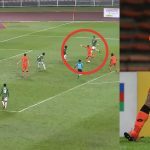 Following their AFF U-22 Championship win over Cambodia, Indonesia and star Marinus Wanewar has landed in hot water for his actions. 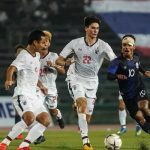 With hosts Cambodia securing a semifinal berth on Matchday 2, the pressure was on the remaining three teams to book the second spot on the final Group day of the AFF U-22 Championship. 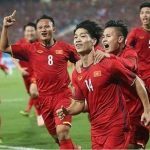 Indonesia will take on in-form host nation Cambodia at the AFF U-22 Championship 2019 to round off an entertaining run of group stage matches at the tournament. Cambodia booked their spot in the semifinals of the AFF U-22 Championship with a 2-0 victory over Myanmar, much to the delight of their coach. 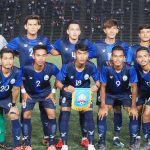 Cambodia became the third team to enter the semifinals of the AFF U-22 Championship 2019 after registering a comfortable 2-0 win over Myanmar at the Phnom Penh Olympic Stadium on Wednesday. In the fourth day of the AFF U-22 Championship, we go to Group B as Cambodia and Myanmar square off in a riveting clash. 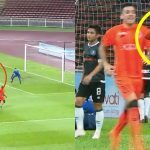 A cheeky free kick goal from the ever impressive Sath Rosib helped Cambodia upset Malaysia 1-0 in their Group B opener of the AFF U-22 Championship 2019 at the Phnom Penh Olympic Stadium on Monday. 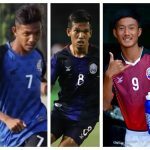 The AFF U-22 Championship hosts are hoping to make a splash in the competition as they want to show that their young stars are ready to put the nation’s hopes on their shoulders.